The golden honey. What is turmeric good for? The golden honey, aka golden milk, refers to honey mixed with turmeric. 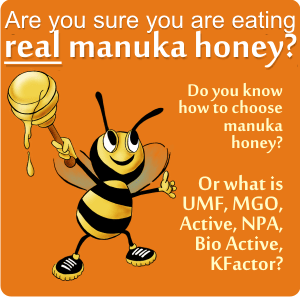 Honey alone is known to have high therapeutic activities. In combination with turmeric it will act as a potentiator of its therapeutic properties. Turmeric is a strong anti-inflammatory, antioxidant, and antiatherogenic product. Yes, another wonder food! It’s a spice coming from southwest India. It’s a key ingredient in curry, which gives it the specific yellow color. Also used in our mustard for the same reason. The rhizomes are the used part of the plant. They can be eaten fresh or boiled for 30 to 45 minutes, dried in hot oven and then grounded. A deep-orange-yellow powder will result, which is a common spice in India cuisine, also used for dyeing. Turmeric’s main active ingredient is curcumin, which has a distinctly earthy, slightly bitter, slightly hot peppery flavor and a mustardy smell. Each 100 grams of turmeric contains around 3 to 5 grams of curcumin. The other two curcuminoids found in turmeric are desmethoxycurcumin and bis-desmethoxycurcumin (wikipedia links). They are all natural phenols that are responsible for the yellow color of turmeric. And for its well-known health benefits. Turmeric: The Ayurvedic Spice of Life. The book is available on paperback, has 108 pages and it was published in 2010. It offers a large view on what is and was turmeric. Some people said it doesn’t offer any dosage for specific conditions. Of course it doesn’t. It’s impossible to give a dosage in a book for a complex person with a certain personality, certain other conditions, certain environments. In Orient, people are seen as wholes not as singular organs that need to be treated. After a consultation, a specialist will surely tell you the right dosage for you. But the book offers a complete description, with history and everything, on what turmeric is. Turmeric is a VERY STRONG anti-inflammatory agent. Considering that in 2013, in a Lancet review, ibuprofen was identified to be as toxic to the heart as the banned anti-inflammatory drug Vioxx, likely contributing to tens of thousands of deaths from cardiovascular disease each year, I think we should consider the yellow turmeric for our pains. A friend from India told me that Alzheimer’s is a disease created by a our lifestyle. I felt a little offended. Then I found out the truth: turmeric. Indians eat turmeric at almost every meal. It’s one of their traditional spices, used in medicine as well as in their kitchen, in their daily curries. And yes, India has the world’s lowest rate of Alzheimer’s disease. On a TV show, Sanjay Gupta said the low incidences of dementia and Alzheimer’s in his home country owed much to the traditional teas and food…he mentioned tumeric, ginger and cinnamon….and in the foods, pepper, too. In a curcumin research Gregory Cole, associate professor in residence of neurology and medicine, found curcumin – the yellow pigment in curry spice, administered to genetically altered mice can block and break up amyloid plaques that lead to Alzheimer’s. In a study made at the University of California, Los Angeles, scientists fed curcumin, the active compound in turmeric tea, to rats prone to accumulate beta-amyloid plaque in their brains – the abnormality associated with Alzheimer’s disease in humans. Curcumin blocked the plaque’s accumulation. It also appeared to reduce inflammation related to Alzheimer’s disease in neural tissue. The rats fed curcumin also performed better on memory tests than rats on normal diets. For Alzheimer’s disease, people say the treatment should start with 1/2 to 1 tsp daily in 4 to 6 ozs of water. A 2012 study “Effects of curcuminoids on frequency of acute myocardial infarction after coronary artery bypass grafting.”, by Wongcharoen W et al., followed 121 patients who had bypass surgery between 2009 and 2011. Half of the patients took curcumin capsules three days before the surgery and then a subsequent 5 days after the surgery, the other half took placebo pills. After their operations, 30% of the placebo patients had a heart attack compared to only 13% in the curcumin group. It’s thought that the strong anti-inflammatory and antioxidant properties of the curcumin may help reduce by-pass patients’ chances of a heart attack by as much as 65%. Their conclusion: The antioxidant and anti-inflammatory effects of curcuminoids may account for their cardioprotective effects shown in this study. It’s been found that in animals, curcumin “interferes with several important molecular pathways involved in cancer development, growth and spread,” according to the American Cancer Society. – The curry spice curcumin selectively inhibits cancer cells growth in vitro and in preclinical model of glioblastoma. – Curcumin inhibits the side population (SP) phenotype of the rat C6 glioma cell line: towards targeting of cancer stem cells with phytochemicals. – Anti-Lung Cancer Activity of the Curcumin Analog JZ534 In Vitro. The list of studies published on PubMed contains over 2,000 articles. You can see them here. The study “Curcumin enhances cell-surface LDLR level and promotes LDL uptake through downregulation of PCSK9 gene expression in HepG2 cells”, by Tai MH et al., published on PubMed, showed that “curcumin suppression of PCSK9 expression is associated with increases in cell-surface LDLR and LDLR activity in hepatic cells and it acts in a molecular mechanism that is distinct from the statins. Curcumin exhibits hypolipidemic activity and may serve as a useful supplement to statin treatment for hypercholesterolemia. Treats flu and colds. Use the golden honey for them. Helps digestion. Here is where the golden honey fits in. Turmeric mixed with honey helps digestion and increases the activity of good bacteria in our guts. Make your own golden honey, by mixing raw honey with some turmeric. It is always good to have some therapeutic honeys in your house: black honey (honey and black cumin), golden honey (honey and turmeric) or cinnamon honey. Together they make one powerful antioxidant. Perfect to be taken in the mornings of autumn or winter. Buckwheat Honey with Cinnamon and Turmeric (Pure Natural Raw Honey) 16 Oz . Golden honey should be kept in the mouse until complete dissolution. For colds and flue, from the very beginning take a teaspoon every two hours. It also helps in respiratory conditions, hemophilia and hypertension. 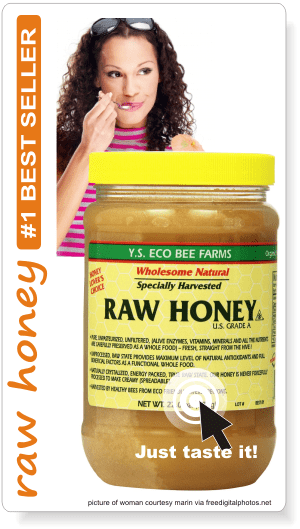 · Before eating – excellent for throat and lungs. · While eating – excellent for the digestive system. · After eating – excellent for the colon and kidneys. If you want to take a more serious quantity of turmeric, to treat a certain condition, or at least to give it a try and see how you feel after it, then you can buy tablets. They are easier to take and offer the right quantity. Black seed & honey – a natural cure. Cancer is gone! How to cure HIV? The black seeds, Nigella Sativa, have the answer! Do black seeds really cure HIV? Some case reports may help! Studies have showed that being both strong antioxidants, when are joined together, curcumin from turmeric and piperine from black pepper, enhance each other’s properties. Piperine has been shown to significantly increase the bioavailability of curcumin by 2,000%. Here is Amazon’s #1 selling: Organic Curcumin (Turmeric) with Bioperine® for more bioavailable, 120 Vegetarian Capsules, 500mg, No binders, No Fillers, No additives, from Dr. Danielle , at $24.95. Or, from EverPure, 120 vegetarian capsules of organic curcumin + piperine, at $24.47. But his ones come with a free EBook to keep on reading about these well-kept secrets of Ancient Chinese and Indian pain relievers. Considering they both have the same price, it’s probably a good option to buy the one with the free book. • Some therapists recommend taking 375 – 400 mg of turmeric per day, or 200 mg of curcumin, the active ingredient in turmeric, each day. If we don’t have a therapist (probably an Ayurvedic one will be more appropriate) to tell us exactly, the manufacturer writes the recommended dosage on the product anyway. Yet, it’s always better to consult with your physician, as this is a powerful stuff and can alter the effect of your other medication. Tincture (1:2): 15-30 drops, 4 times per day. For prevention it is good to insert it in our cuisine, and use it as a regular spice, like we use parsley. If you feel the need to do more than that, than you can use it to your teas, cocktails, soups. And here are some useful recipes with turmeric. 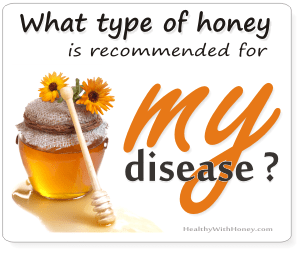 I don’t believe that there could be a product, honey included, from which we can take massive quantities for a very long time and never have any side effects. Our body is just not built this way. Some therapists tell us to be careful if we have diabetes or low blood pressure, as turmeric can lower blood pressure and sugar levels, and we should consult with the doctor before using this mix. Also, people with bile disease should also stay away from turmeric, because it can cause muscle contractions in the gall bladder. You shouldn’t use turmeric if you have gallstones or bile duct dysfunction, and pregnant women shouldn’t use it without their doctors’ approval. In rare cases, extended use can cause stomach upset or heartburn. Piperine can slow the elimination of some prescription drugs including phenytoin [Dilantin], propranolol [Inderal], and theophylline. • Some evidence also suggests that curcumin can interfere with a chemotherapy agent used to treat breast cancer, so if you’re being treated for this disease, be sure to discuss the advisability of taking curcumin with your physician. • When taken with Blood-thinning medications, turmeric may strengthen the effects of these drugs, raising the risk of bleeding. Blood thinners include warfarin (Coumadin), clopidogrel (Plavix), and aspirin, among others. • When taken with Drugs that reduce stomach acid like: Cimetidine (Tagamet), Famotidine (Pepcid), Ranitidine, (Zantac), Esomeprazole (Nexium), Omeprazole (Prilosec), Lansoprazole (Prevacid), turmeric may interfere with their action, increasing the production of stomach acid. • When taken with Diabetes Medications, turmeric may strengthen the effects of these drugs, increasing the risk of hypoglycemia (low blood sugar). 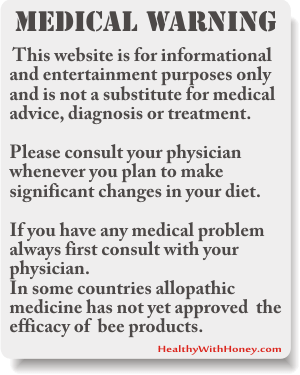 Remember not to get obsessed with illness and alternative medicine. Always remember to enjoy life, no matter if you are healthy or ill. Time will go anyway, and there is no point in always trying to heal a body that we will eventually lose. Instead, let’s make this body feel happiness inside. Please, can I take turmeric capsules (500 g twice daily) with royal jelly capsules, for depression and insomnia? First of all, I am not a doctor. I only research honey and its effects on us all. Secondly, yes, you can combine them, only make sure when taking turmeric, that you don’t suffer from gallstones or bile duct dysfunction. Also be careful if you have diabetes or low blood pressure. Turmeric, as an excellent anti-inflammatory, works very well for depression, which some researchers say are tightly bound together. And check your vitamin D3 levels and keep them at the maximum limit. Oh, and something else, it helps to keep a diary. In a notebook or on a blog, it doesn’t matter. I’m telling you from my own experience. Write down everything about you. WELL I AM PROUD TO SEE THE WORLD IS UNDERSTANDING THE VALUE OF TURMERIC. WE GUYS ARE FROM ERODE DISTRICT IN SOUTH INDIA AND WE GROW IT IN OUR FIELDS (WHICH IS ABOUT AN YEAR CROP). WE PROCESS IT BY BOILING, DRYING IN THE SAME FIELD (WHERE WE GROW IT) IN OPEN SUNLIGHT AND REMOVE THE TOP LAYER BY PUTTING THROUGH ROTARY MILL. NOW ITS READY TO BE POWDERED TO USE AS INGREDIENT IN THE FOOD. THIS IS ONE OF THE MAIN INGREDIENT IN OUR DAILY MEAL TILL TODAY. These posts are two years old. I hope you still revisit the c site, for me comments, to be able to see my question. I daily take 50 mg of Zoloft for anxiety and depression and was told not to take Ibuprofen for pain or inflammation. I also know that if one is taking blood thinners like Cumarin, should not take Zoloft. I somewhere read that Turmeric should not be taken while taking anti depressants like Zoloft. Could you please tell me if there’s a risk? 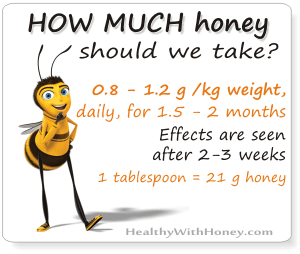 A psychologist I work with, told me about the huge benefit of treating both anxiety and depression with raw honey or Real honey jelly propolis with 200 mg of turmeric a day. I would take it, if helps me ease many symptoms. But, I am a little concerned. Would turmeric dangerously make me bleed? This article may be 2yo, but it’s still up-to-date. Taking natural medication instead of synthetic one is a good idea. I don’t think you would start taking turmeric in high quantities, like 4 g per day to interfere with your blood thinner. 200 mg really is a small quantity. Maybe, just my opinion, you can take a smaller dose of turmeric and decrease a little the blood thinner and the following week increase the turmeric and decrease some more the thinner. And then take some blood tests to see how you stand. Then adjust the quantities comparing the results. Or, start with 100 mg turmeric, leave the blood thinner as it is and take a blood test. The following week increase to 200 mg and take another test. If it’s ok continue with your blood thinner and 200 mg. This is the safest way. The most serious risk I know when taking turmeric is if you have gallstones or bile duct dysfunction. You need an ultrasound examination first to see if you are ok. If you have gallstones stay away from turmeric. And it’s probably better to ask a medical doctor too, it would help. Your beliefs are very important, so if you think turmeric will harm you then you better don’t take it at all. Your beliefs are more important than reality. WOW! Never realized that the tumeric had so many benefits to your health! I know you can get it in tea and stuff, but HONEY? never knew!! Thanks for sharing! Yes Matt, turmeric can be added to honey and taken like medicine. And so we can do with other great herbs like black cumin, onion, garlic, coffee, cinnamon and so many others. They enhance each others properties and together become powerful health remedies. I have heard many good things about turmeric, as it seems to be a super spice! I had always thought though that curcumin and turmeric were the same! It really does seem to be a miracle spice. I am not that fond of its taste but I did not think of mixing it with honey. It must improve its taste. Yes, its taste is different, but we should not use it alone. Black pepper is the one that usually accompanies it, it changes its taste and potentiates it 2,000 times. Curry powder (not the curry tree, the curry mixture – as they are different) is a mixture which includes turmeric. When combined, turmeric is good. It’s a great idea to introduce it in your daily meals.